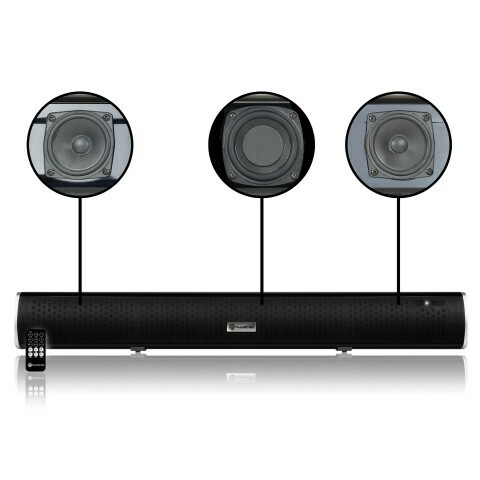 With Bluetooth, 3.5mm AUX, RCA and Optical audio input options, the SBR works with any home theatre setup. 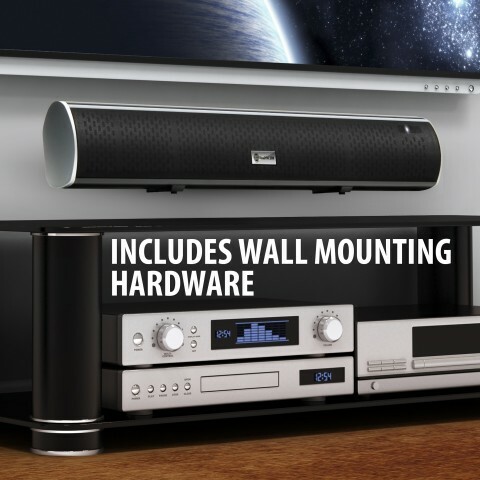 Designed with ultra-slim styling, rest the sound bar on a shelf or mount on a wall with the included mount kit. 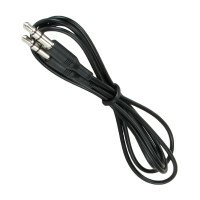 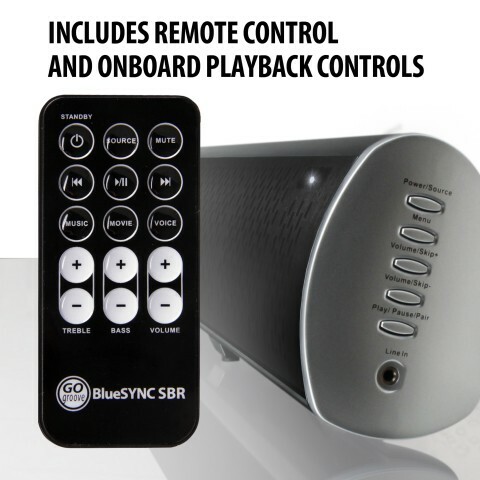 Equipped with onboard controls and remote control, adjust volume, bass, treble and more! 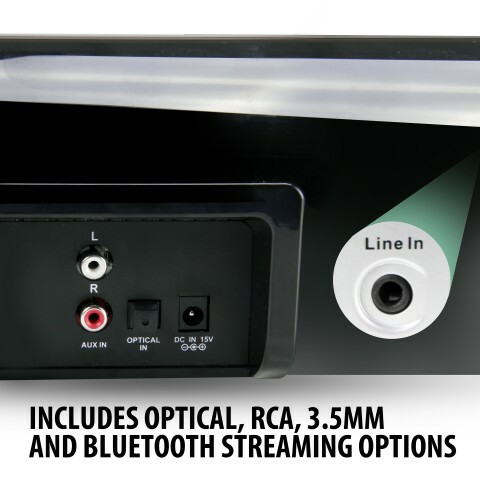 Experience your movies, music and other media the way they were meant to be enjoyed on your television with crisp highs, full mids and thundering bass! 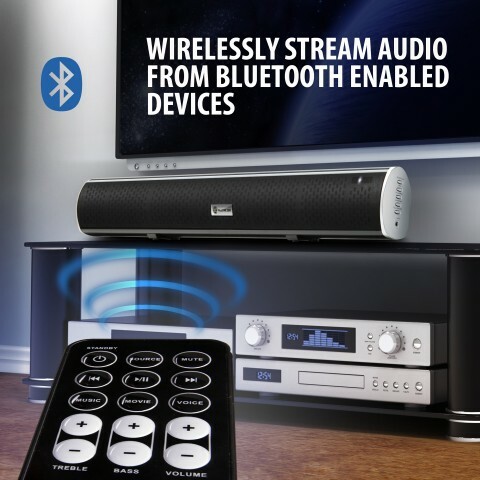 With optical and analog inputs, the BlueSYNC SBR provides your home theater system with rich, powerful sound and amazing clarity. 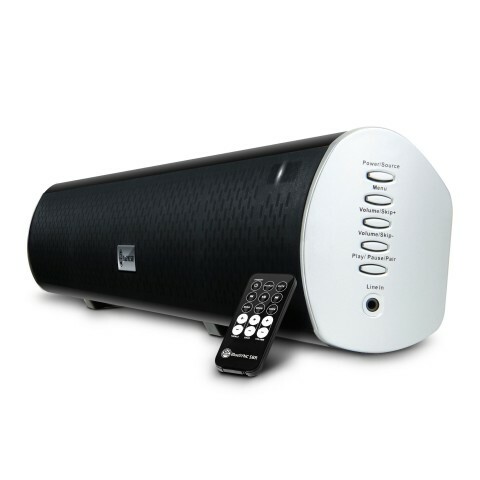 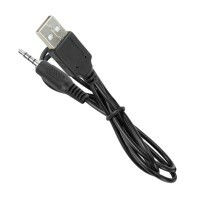 The speaker comes with 3 equalizer settings - MUSIC, MOVIE and VOICE - to create the best listening experience. 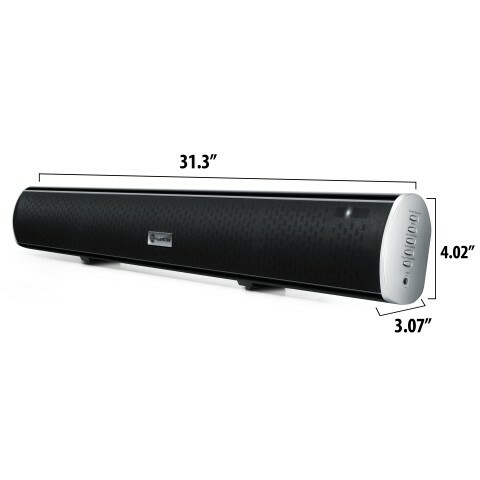 With its ultraslim and low-profile design, the BlueSYNC SBR nicely accents any home theater system without getting in the way. 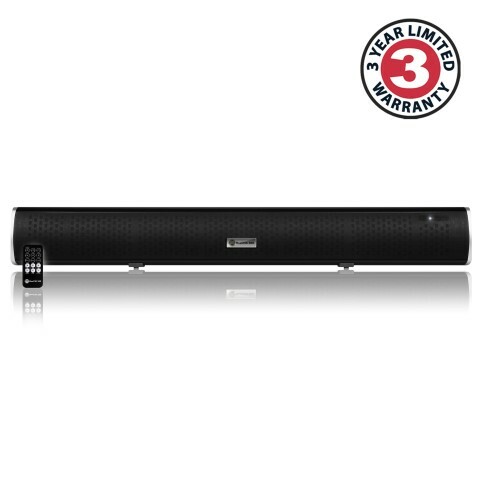 The sound bar looks great mounted on a wall or resting on a shelf in your entertainment center. 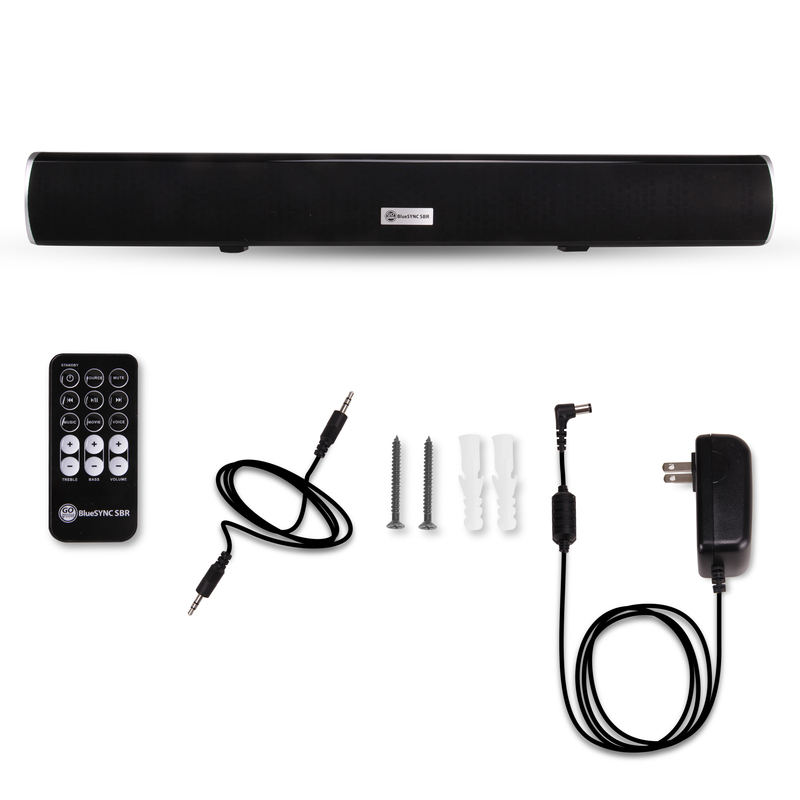 The included wall-mounting kit allows you to easily hang the SBR in a few simple steps and should only take a few minutes to install.